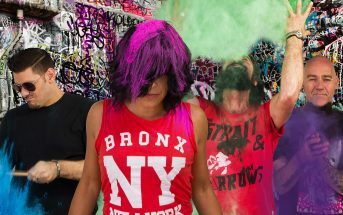 Run (music video) by Lillye, an alternative metal/rock band from Sydney, Australia. 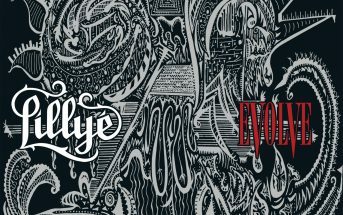 This is the first single from the band’s debut full-length album Evolve which was released worldwide on May 18, 2018 via Eclipse Records. The video was directed by Dave Molland w/ assistance from Max Greig, and filmed at Sydney Props and Boo & Cams. The album was produced by Christian Lauria and mixed by Shane Edwards (Northlane, Hanz Zimmer, Thy Art is Murder) at Karma Sound Studios. Turn on CC for lyrics: On your mark. Get set Ready. Go. Running with shadows. Caught up in the game Cover up the truth now. All aboard the train It’s a three-ring circus. It’s a cryin’ shame Go and point the finger. Who ya gonna blame. A circus A game This future In flames. Sky is falling better run Tide keeps turning over run, World is spinning round. It’s time to make a stand I’ll race you till the end. Go. Striving for survival trying to compete Follow all the rules we’re given. Marching to the beat Spending with the dollar Digging in the sand Rushing men in collars. Climbing hand in hand. Deluded Afraid Our future Our game. Sky is falling better run, Tide keeps turning over run, World is spinning round It’s time to make a stand I’ll race you till the end. Go. A circus A game This future In flames Deluded. Sky is falling better run, Tide keeps turning over run, World is spinning round It’s time to make a stand I’ll race you till the end go. Go Sky is falling better run, Tide keeps turning over run, World is spinning round it’s time to make a stand Go.